If you visit the 10Bet website using your mobile phone or tablet, the site will automatically detect your device and provide you with a mobile view of the 10Bet interface. Alternatively, 10Bet provides apps for both Android and IOS formats. 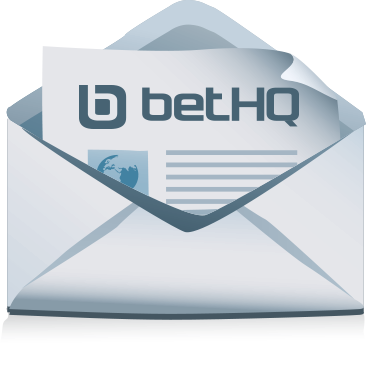 These apps will provide you with a slightly faster, more fluid betting interface. 10Bet's IOS app is compatible with all Apple mobile devices. 3. download the 10Bet app. A number of unofficial 10Bet apps are available at various open app stores. These make use of the existing mobile site, so offer little value over using the mobile site directly. Exercise caution when downloading third-party apps, which may compromise the security of your account and mobile device. If the 10Bet apps aren't compatible with your phone or you don't want to download them, you can access a mobile version of the 10Bet website simply by navigating to it. The web app will automatically detect the type of device you're using and attempt to adjust the display to suit your screen size. Because 10Bet doesn't offer services like live streaming, you won't miss out on much if you decide to use the mobile site instead of one of the 10Bet apps. 2. use your phone's browser to navigate to www.10Bet.co.uk or, if you're outside the UK, www.10Bet.com. The mobile site will load automatically. You can then bookmark the site or add it to your phone as a shortcut so you can access it easily in future. The 10Bet app for Android isn't licensed directly by 10Bet. For this reason, it's best to be cautious. It's possible that the app could compromise the security and privacy of your device. We therefore recommend using the 10Bet mobile site directly if you're using an Android phone. 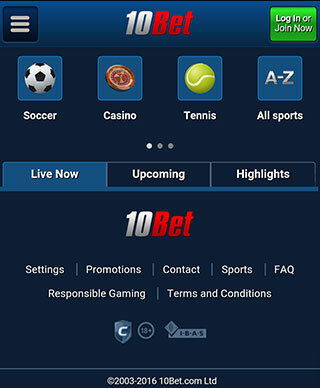 The 10Bet IOS app, however, is an officially licensed app that is regularly updated by 10Bet. Considered one of the best betting apps on the market, the 10Bet IOS app offers access to a huge range of betting markets, including over 200 live betting markets. The app also offers a popular and generally fairly accurate football betting prediction service. The 10Bet IOS app is well designed and easy to use, with a user-friendly betting slip and a variety of simple deposit and withdrawal options available. The absence of live streaming stops it from being the perfect mobile betting app, but it certainly comes close.